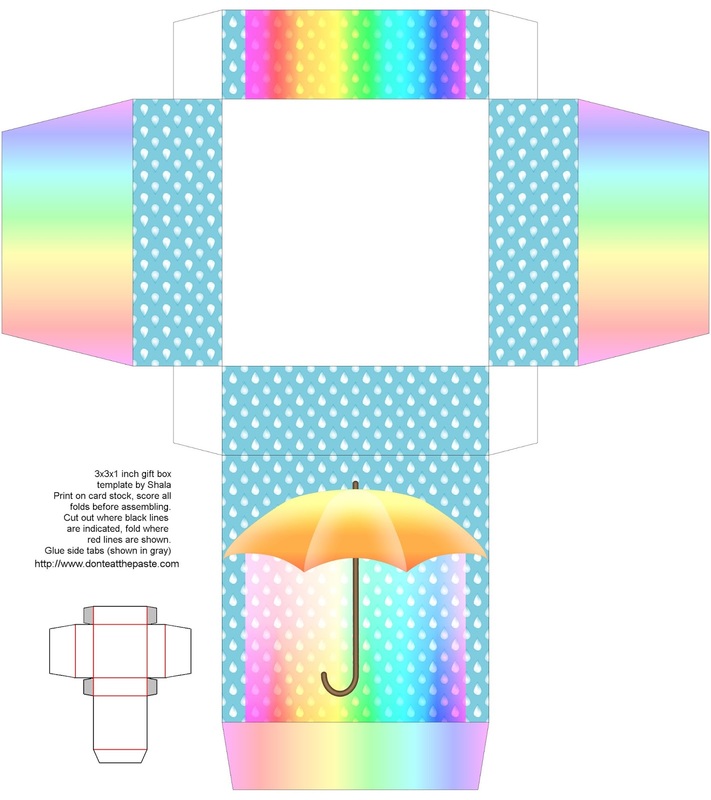 For some reason, the word bumbershoot got stuck in my head last night, which inspired this printable rainbow and umbrella gift box. If you like the quote above, you can share it from my Facebook page- Don't Eat the Paste. Click the image below for a larger version to print on card stock. Print, cut out, score folds, fold, glue! Thinking of drawing a rainy day mandala because right now I'm really stuck on bumbershoot as a very fun word. Apparently it's American slang from UMBrella and paraCHUTE. It's a ridiculous word that always means a certain type of umbrella to me. Great big dark umbrellas. Umbrellas that won't fold, compact or ever fit into a purse or briefcase. It won't have ruffles or rainbows. This is a properumbrella, it's going to keep you and another person dry. On a rainy day, braver souls will come to be sheltered under your large umbrella. Other people will be too timid of the seriousness of it. This is an umbrella for the person who really doesn't want to be wet, and wishes they wore galoshes to protect their feet. They will step carefully to keep their feet dry. When it's not raining, these large umbrellas wind neatly, and the stick is long enough to be used as a walking cane. 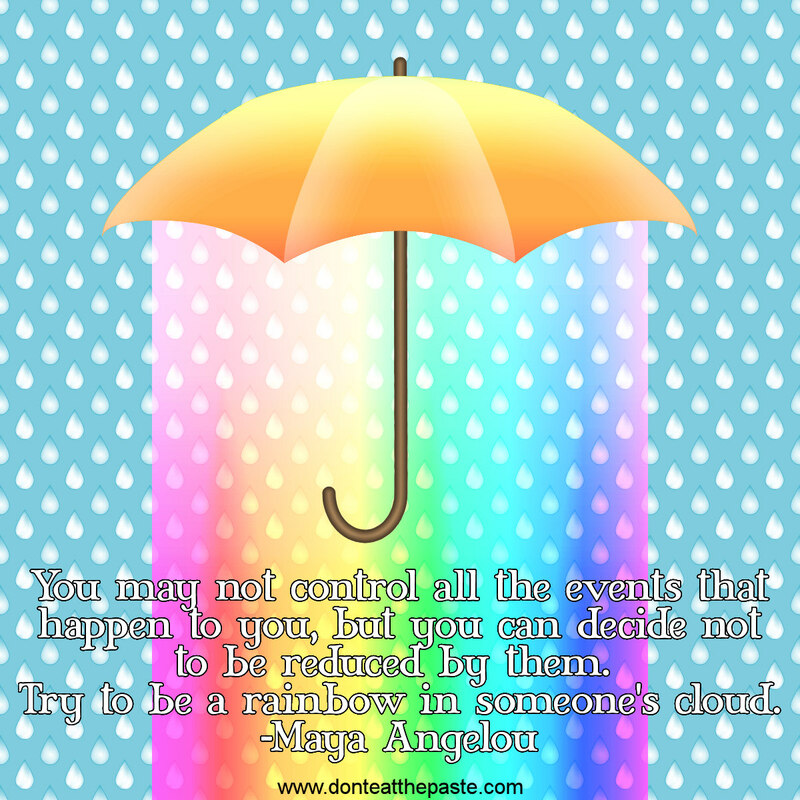 Nobody would dare attack a person holding a bumbershoot because they know it can be used as a weapon. So a bumbershoot is the most serious of umbrellas, but with a very silly name. To me at least. The umbrella mandala that I'm working on will hopefully be in my next coloring book, but I may do one here as well.